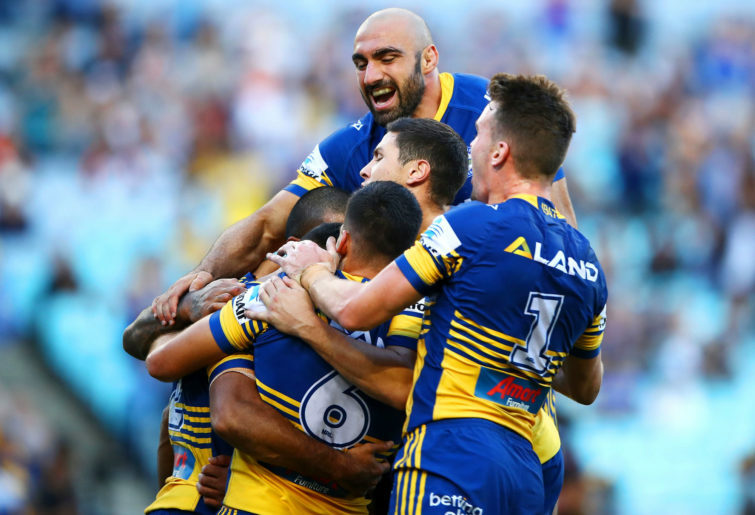 The Parramatta Eels can’t seem to keep themselves away from problems and poor performances. After being one of the major disappointments last season, they will be at long odds to do any better in 2019. This is The Roar’s NRL preview series. For the next 16 days, I’ll comprehensively look at each team ahead of the 2019 season, moving backwards on my predicted ladder – so it’s not great news for the men in blue and gold. A team widely forecast to go well in 2018, the famous old club flopped from loss to loss and eventually, the wooden spoon. What actually went wrong is anyone’s guess, but their defensive line looked like it didn’t want to be there, they had a confused spine, which was chopped and changed all year, no actual home ground, and some very poor rugby league from start to finish. Whether it was the form of Mitchell Moses and Corey Norman in the halves, a horrendous injury toll or a lack of go-forward up front, there are plenty of problems to fix. 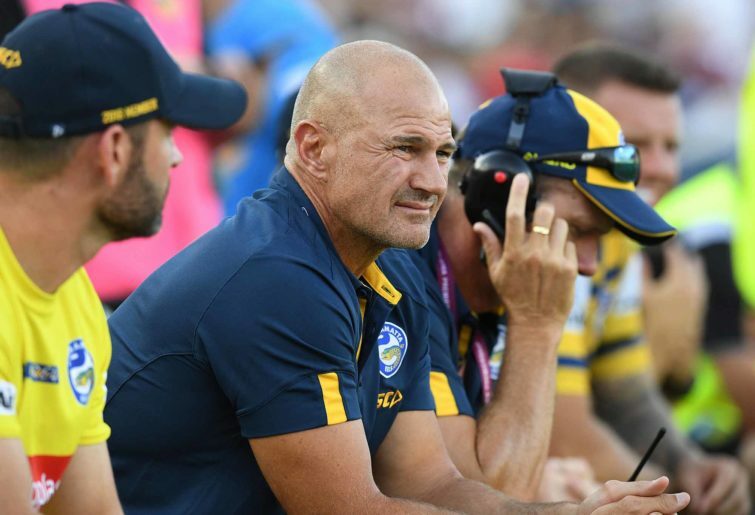 Brad Arthur has been called one of the best coaches in the game, but another season like last might see the end of his time in western Sydney. Even with those issues, the Eels have some upside, and their player movements, while poor on paper, could actually turn out for the best, giving them a chance to create a new culture. This will be where it starts, with the club first needing to build a winning environment, then make it consistent. The Eels have been busy during the off-season, but whether it’s the right kind of busy remains to be seen. A line in the sand appears to have been drawn, with half Corey Norman released and troubled utility back Jarryd Hayne not getting a new contract. The others out the door include outside back Kirisome Auva’a, Beau Scott, Tony Williams, vocal forward Kenny Edwards, Suaia Matagi and Cameron King, who unfortunately has struggled with injuries. 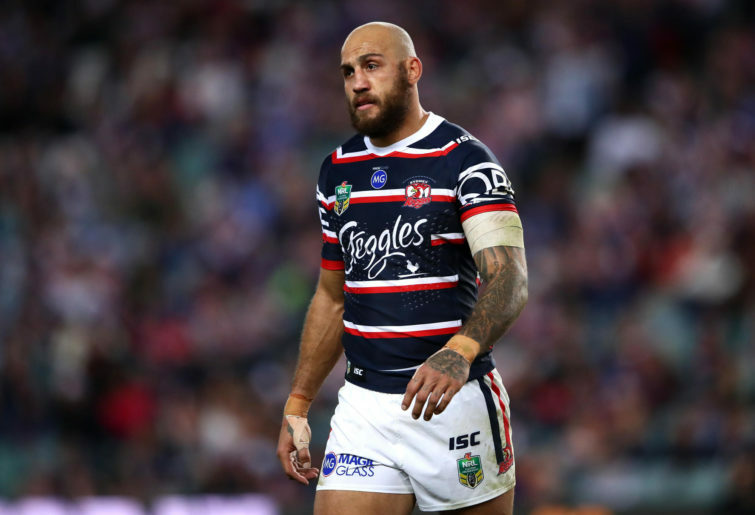 Blake Ferguson will join from the Roosters, after being one of the best wingers in the game last year, and the expectation is on him to do the same amount of work and perform to an equal standard in a struggling team. Injury has also set back his pre-season, and given the high-intensity workload he gets through, it’ll be intriguing to see if he is up to the same level. Shaun Lane is an outstanding signing in the second row, as one of the game’s best young forwards, while youngster Dylan Brown was promoted to the top squad. Big forward Junior Paulo also makes the swap from the Raiders, which should give them a bit of much-needed go forward, while Andrew Davey and Maika Sivo round out the recruits to date with a squad spot still open. While there are questions over what sort of input the spine will give after a pretty sub-standard 2018, the late departure of Norman has opened up a position. From all reports, 18-year-old development player Dylan Brown has been training the house down and earnt the respect of the squad. Given Jaeman Salmon’s off-field dramas in the off-season, it appears the halves spot could be Brown’s. Although Clint Gutherson may decide he wants to play in the halves, which would likely mean Bevan French at the back. Gutherson should almost certainly be playing fullback though, given the prolific output he has had there in the past, so Brown combining with a struggling Mitchell Moses could be the right move to flip the script. The loss of Norman will almost undoubtedly help Moses, who never gelled with the troubled star. Brown, from all reports, defends well and has a good running game, so Moses can focus on running the team. The spine will almost undoubtedly be rounded out by Reed Mahoney, who is one of the game’s brightest young hookers. He only played eight games last year, but has plenty going for him, including a cagey ability to defend and some smart passing options. All up though, there is a lack of experience with Brown and Mahoney, while Moses was out of form last year, and Gutherson never seemed to have a role. The rest of the backline just about picks itself. Ferguson is going to slot straight onto the wing, although, again, could be hampered by lack of preparation from the injury he picked up in last year’s grand final. Former New South Wales Origin centre and current Tongan representative Michael Jennings will probably play inside Ferguson, which could be a combination with Moses that will have Eels fans cheering. George Jennings is also likely to be there, although may be challenged for his wing spot by Maika Sivo or Josh Hoffman, if he is overlooked elsewhere. The final spot in the centres comes down to Hoffman and probably Brad Takairangi, although some reports suggest Salmon, should he avoid suspension, will play there. There’s plenty to look forward to in the backline – if it clicks, it’ll make Parramatta an exciting team, but there are big questions. The forwards really struggled in 2018, so it’s little surprise to see them elect for change. Lane and Paulo will both be into the starting team in the second and front row respectively. Lane averaged almost 100 metres per game last year, but it was how damaging those metres were, with tries and line breaks a regular result, which made him dangerous. The issues include the fact Nathan Brown was injury-prone in 2018, and then never discovered form, while Daniel Alvaro looked more like an honest toiler. Manu Ma’u did not perform to 2017 standards, while Mannah did nothing from the bench. Kane Evans will add some fire if he can lock down a spot, but there are depth issues, with players like David Gower the next to be picked in case of injury – solid, sure, but not a world-beater. The impact of Origin is likely to be nonexistent. Gutherson and Moses could throw their hat in the ring for the Blues if they run into hot patches of form, but outside of that, it’s hard to see anyone being picked. Where is the go-forward coming from? In 2018, the Eels were 12th in total run metres, averaging 1479 per game (a distant 123 behind the Roosters), with 11 line engagements per match. Simply put, they were being bullied by opposition packs. What they lacked was someone with real grunt and size to get things moving, and they pick that up this year in the form of 123kg Paulo, who had over 755 post-contact metres last year. Evans is another who can add plenty at almost two metres tall, but he was very quiet last year, making just 75 metres per contest. If he and Nathan Brown can get back to the level they are capable of, the Eels will have a pack to be reckoned with. However, Mannah, Tepai Moeroa and Peni Terepo all need to lift their game, while those waiting in the wings need to push for spots in Brad Arthur’s side. Will Blake Ferguson be as good in blue and gold? Ferguson has turned his career around in the last few years – it has been amazing to watch. His work ethic at the Roosters last year was stunning, regularly chipping in for big carries out of his own end, topping running metre charts and scoring plenty of tries. However, that was playing for the premiers, and even then he still had the odd defensive lapse, lack of communication or breakdown in decision making. Now, without a winning structure around him and away from Cooper Cronk’s guidance, you wonder if he is going to slip back into old habits. If he does, it’ll be major problems for the Eels, particularly if he is the focal point of attack. Sure, he will be a danger no matter what, but it’s no good if he is making mistakes that cost games for a team likely to be involved in a lot of close ones. 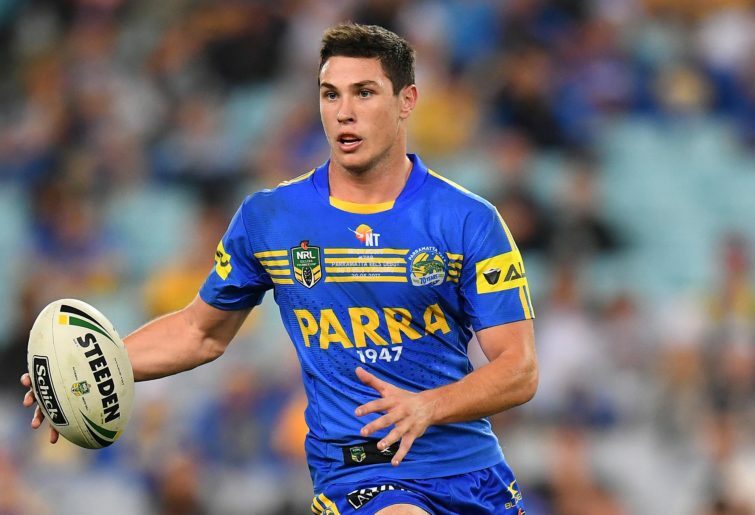 Is Mitchell Moses good enough to steer the Eels around? This year could be the making of Mitchell Moses. Finally given the keys at the Eels with Norman gone, he needs to have a huge year controlling the side. As mentioned earlier, he is likely to be joined by Dylan Brown, who is predominantly a running half. He will be exciting, but could make mistakes, and needs to be kept in line by Moses, who will also have the job of leading the kicking game and setting the plays. While he never clicked with Norman, Moses hasn’t again reached the heights on show when he first burst onto the scene at the Tigers in a rout of the Dragons at the Sydney Cricket Ground. That debut performance set tongues wagging, but he has done little to enhance his reputation since. This must be the year he steps up if the Eels are to clamber away from the bottom of the table. But it’s a very, very big if. Best home run: Round 11 – Round 17 (five out of seven). Includes home game in Darwin and away game at Western Sydney. The draw has actually smiled reasonably kindly on the Eels. They will have a long run of home games through the middle of the season, no extended periods on the road, and five-day turnarounds only twice. Add to that, they have double-up games against five teams who missed the top eight last year, plus the inconsistent Panthers and in-turmoil Sharks. Really, they couldn’t have dreamed of a better run, and if they can make that middle stretch count, where they spend five out of seven weeks in Sydney, they will be all the better for it. Parra have turned a corner with recruitment, but this team have more questions than answers, and someone needs to finish last. Their best 17 is reasonable, but they have little depth afterwards, a lack of experience in key areas that will bite them in big moments, as well as questions over what Moses is truly capable of. It could be another long year at Parramatta. On Friday, we will turn our attention a spot up the ladder to the team I’m tipping to finish 15th.